Discussion in 'General Movie Discussion' started by Kylo Solo, Mar 7, 2017. Hey guys! Surprised that there is not a thread for this already. Finally decided to create a thread so we can talk about Star Wars legos! You can bring up anything regarding Star Wars legos, whether its the video games or actual lego sets themselves. I just went on today and found out that Lego has come out with some new sets that look pretty cool. I am now 24 and still collect legos #NoShame. I've collected them ever since I was a kid. I used to play with them back then but now I get them only for show. The sit nicely on my shelves in my room. Very happy with my collection. 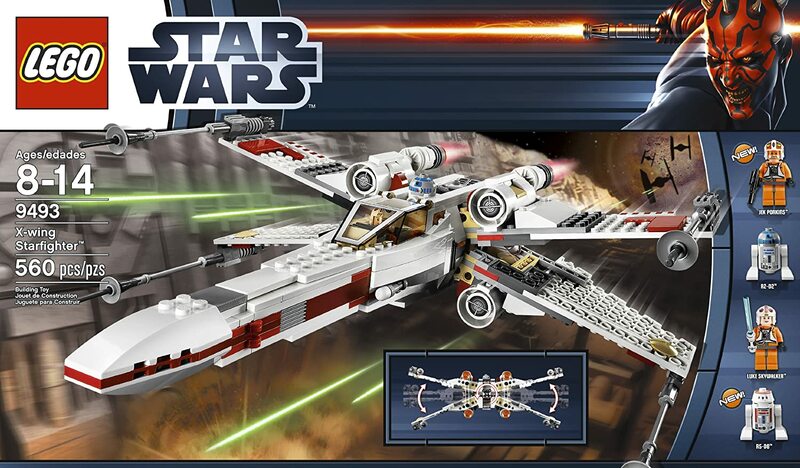 I am looking forward to getting the new Y-Wing that just came out, that looks like a pretty good version. So what do you guys like about the Lego Star Wars universe? Anyone here still collect them like me and/or play the video games? Yep still the enjoy playing the games. Yeah, I’m still a buyer/player/general consumer of Lego stuff. I tend on only buy OT Lego kits, so have the obligatory Millennium Falcon, Tantive VI escape pod, the first Desert Skiff with Sarlacc, Death Star laser, a B-Wing, Shuttle Tyderium, Echo Base, Wampa Cave, Carbon Freeze Chamber and 2 different X-Wings. I’ve also got a couple of the smaller original Lego SW kits from back in the 90’s like the Endor Chase, Final Duel I & II and Jabba’s Prize when minifigs were still standard Lego yellow-faced before the flesh toned variants came along later. Her collection is bigger than mine as Santa/birthdays have seen her pick up a majority of the Rebels sets and TFA Rey’s Speeder. She also collects the Microfighters as they’re more simple for actually playing with rather than ‘displaying’ as my kits tend to be. I’ve just recently replayed Lego Star Wars – TCS with her on the Xbox, which she loved and still goes back to play despite us completing the game and all bar-one of the achievements. We’ve start Lego Star Wars – TFA, but with all the new complexities and level designs as well as the fact you get voiced cut-scenes instead of the gesture and animated silent cinema style of the old game it doesn’t have quite the same smile factor… that said, I’ll have to complete it now, just because it’s there! Video game wise we also succumbed and somehow acquired a complete set of the Star Wars Disney Infinity figures and playsets, mostly picked up from sales when the line was being phased out last year – it’s pretty good fun and my daughter plays it a lot with her friends and cousins. I currently own the two sets for Rey's Speeder with an Unkar's Thug (They don't mess with the girl and her staff!) and Poe's Blue X-Wing with Lor San Tekka, BB-8, and a Flametrooper. I really would like to get the Battle of Takodana set. I used to have quite a few growing up but, I sadly don't have them anymore or know what happened to them like a mini set of Darth Vader and Luke with the Emperor sitting in his throne chair, a Star Destroyer with Tarkin and Darth Vader, Anakin and Luke's Speeder, the Coruscant Speeder Chase, the Jedi Starfighters from the beginning of Revenge of the Sith, and a few others I'm sure. I really wish I did know and could find my unopened Podracer set as well. i had a LEGO set of a castle once when i was a teenager. those are the only LEGOs i've ever had. now i want the command shuttle and the FO troop transport and the Resistance transport and the speeder and the Takodana set and the x-wing set. 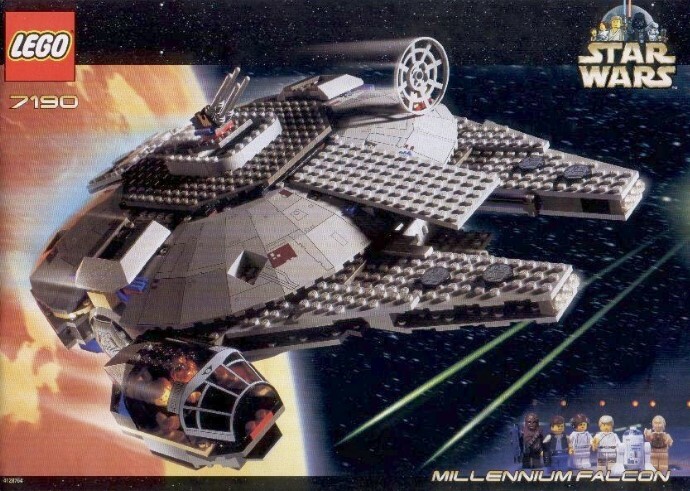 One of the first Lego sets I ever got was a 2000 version of A-wing. It got lost and for quite some time I haven't bought any Lego Star Wars sets. However, right now I'm trying to get Ultimate Collectors' Series sets. Last year I got myself this lovely Slave I. 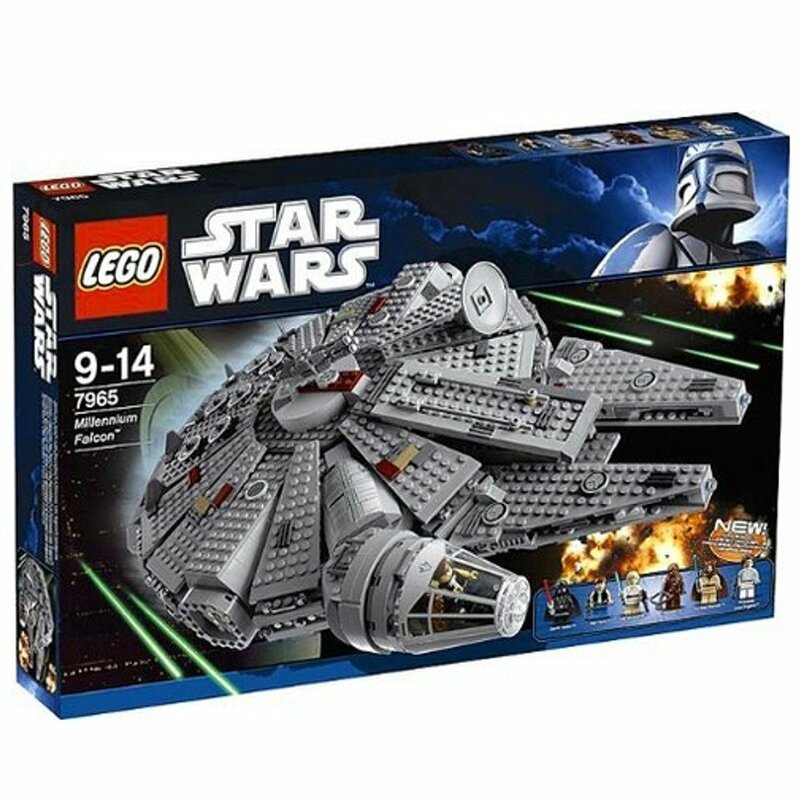 This year I may also get myself some UCS set, especially if it's the Millennium Falcon. Lego has really improved with their designs over the years. So much more detail now then when I was younger. The latter is no longer built. That one was scrapped due to my imagination as a child for creating other ships from the ones I already had. I actually do remember rebuilding this set one time when I was younger, I got pretty close to the original. I restarted to play Lego SW with my son some years ago. So far his collection consists of a Tie-fighter, an old republic sith ship, the millenium falcon, maul's ship from tpm, a space fighter from the clone wars, and some smaller clone wars and rebels troop sets. My little daughter has started with Rey's speeder. hahahaha ~ i thought you had this one, General. what do you think of it? 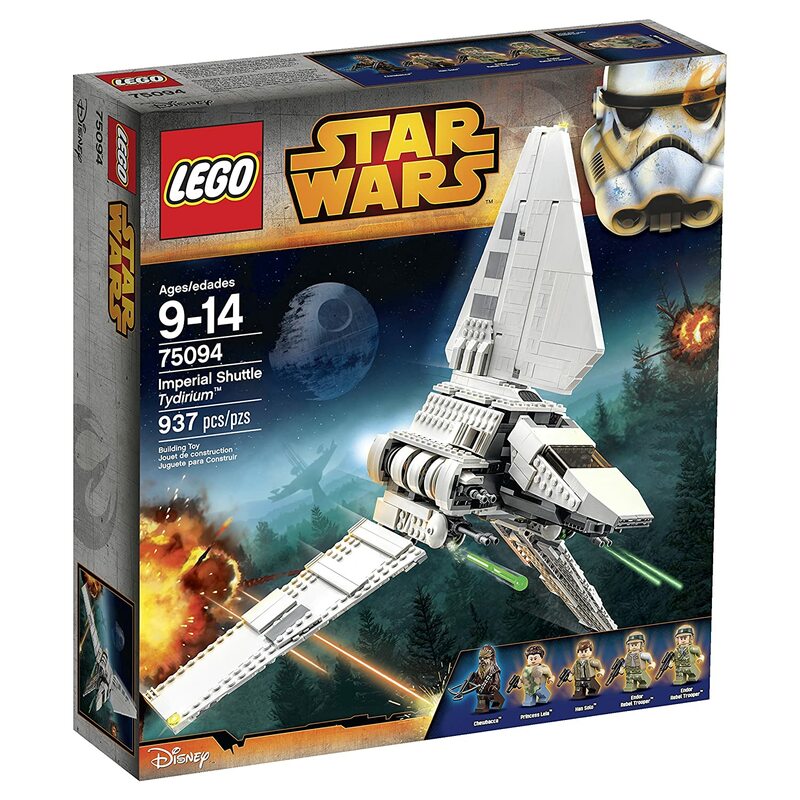 Yeah, I was quite interested in the Lego version of my badass ship but it turns out it's nothing like the movie version. It's a real bummer. Hopefully a more screen accurate version releases sometime soon. hahahaha ~ i honestly can't tell if you're being facetious. I'm dead serious. The lego command shuttle is crap. Wrong coloring, the wings can't be bended outwards and so on... Maybe I'm nitpicking here but I expect more from Lego. Sadly I only have a one piece of SW Lego and that is a very small AT-AT. I have the original trilogy and prequels on PS2 and I'm planning to get TFA during the coming months. Hopefully Rogue One gets a Lego game, that would sooo cool.
. I am looking forward to getting the new Y-Wing that just came out, that looks like a pretty good version. Kylo, awesome thread, as I am a newbie I can't start threads (yet, although close)....anyway I have wanted to talk Lego SW here. I have 3 boys ages 14, 13 , 9 who all love lego SW (almost as much as me!). We just got the new version of the Y-Wing and it is awesome. My middle son loves the minifigs and the rebel pilot with it is very well done. Also has a piece of handling equipment for the maintenance guys , which I love, because I spent 26 yrs in the US Air Force as an aircraft maintenance officer.......one of the things we want to tackle is recreating a whole Yavin-4 hangar scene. We have the Y-Wing, need a T-65 X-wing (we have a T-70). We have a bunch of brown and grey bricks from the Lord of the Rings Helm's Deep set that we will use for the interior walls, etc.....will post pictures when we are done.